Pumpkin Goblins is a middle grade chapter book available on Amazon and Barnes and Noble, and a number of other online retailers, which you can check out through the Universal Book Link. Beyond the shadows of any known forest grows the Goblin Oak, an enormous tree lit by hundreds of glowing jack-o-lanterns. All the spirits and strangeness of Halloween come from the Goblin Oak, but a mysterious source of summer magic threatens to destroy it. Meanwhile, nobody wants to take Amber trick-or-treating, and nobody cares that she’s having the worst Halloween ever. Her parents would rather go to a lecture than take her trick-or-treating, and her brother only wants to hang out with his girlfriend. Plus, it’s so warm out that the next-door neighbor is barbecuing. Amber’s entire Halloween is a set of plastic fangs, a ragged old cape, and a single pumpkin. When Torlik, a goblin pumpkin snatcher, fails to steal that pumpkin from her, Amber learns that it really is the worst Halloween ever, and not just for her. Goblins are out in force, snatching Halloween pumpkins to strengthen the Goblin Oak. 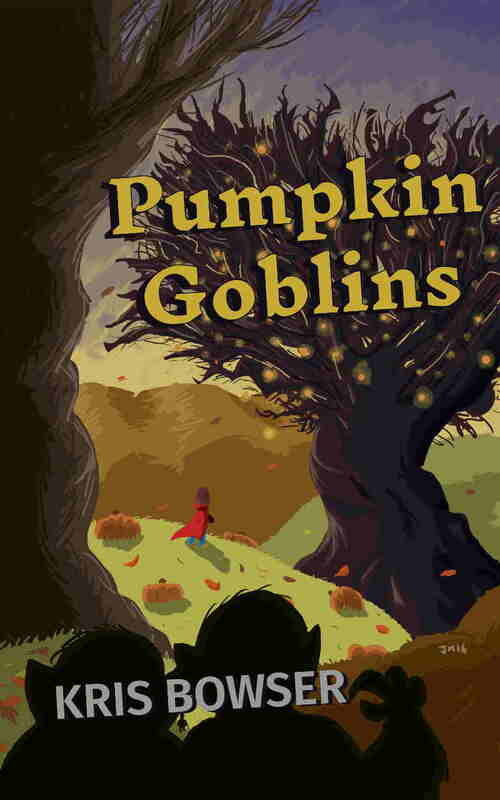 With goblin tricks, elaborate distractions, and a teleporting pumpkin car, the goblins are an elite squad of professionals. And yet, Torlik has his doubts that any of their efforts are helping the Goblin Oak. Facing a Halloween night of watching her brother play video games and handing out candy to luckier kids, Amber sets out for the Goblin Oak, determined to help, even as the summer magic takes the form of full-blown attacks. But the Goblin Oak grows beyond the reach of any map or compass. To find the Goblin Oak, to find what’s hurting it, and to save Halloween, Amber must abandon her familiar Halloween and become truly lost. Click here for behind-the-scenes info, book previews, chaos, and other Pumpkin Goblins malarkey featured on the blog.